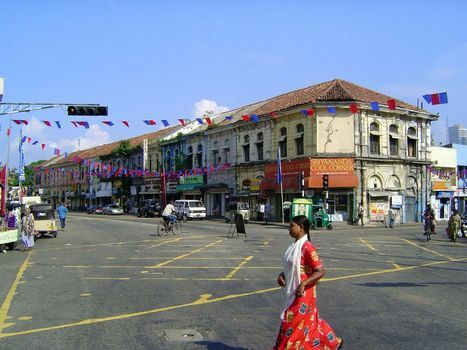 Colombo is more than a collection of colonial relics. 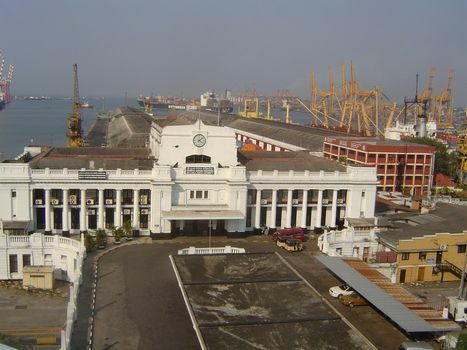 The Custom House, seen from the Grand Oriental Hotel. The Custom House is now used for other purposes--nobody arrives by sea anymore--but the view beyond is a reminder of how important exports are to the country--tea of course, but more recently (and now four times as important) clothing. 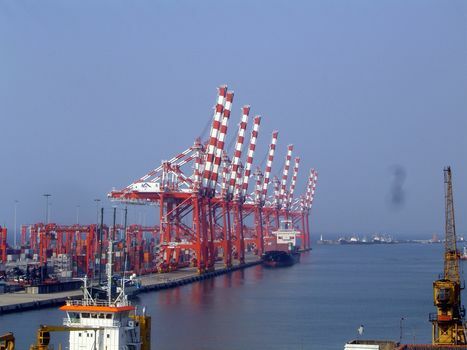 Colombo not only handles domestic exports but transships a lot of Indian cargo, which comes here in small vessels because India's few deepwater harbors can't handle all of India's exports. The proposed construction of a navigation channel (the Sethusamudram Project) through the Palk Strait between India and Sri Lanka might divert some of this traffic to Singapore or Malaysia. 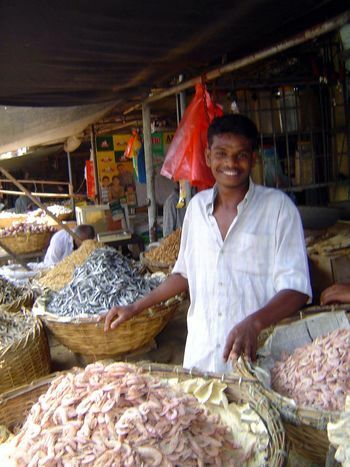 It worries people interested in the health of Colombo's port, as well as those interested in the biodiversity of the strait. 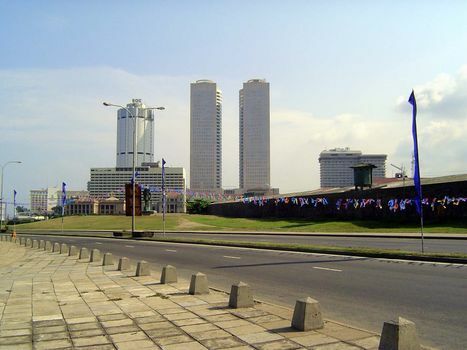 The view north from Galle Face toward the old business core in the Fort district. The three tall buildings are the Bank of Ceylon and the twin towers of the World Trade Center. 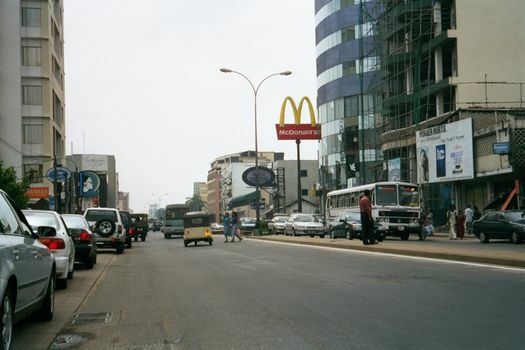 The two hotel-like objects are in fact the Galadari Hotel (the former Meridien) and the Hilton. 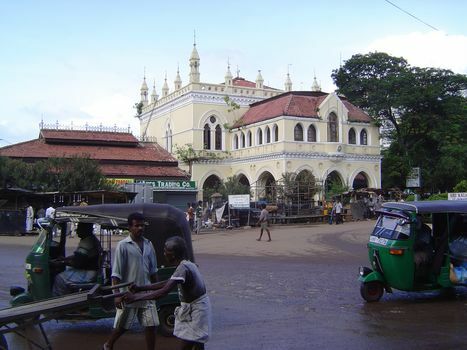 The old secretariat and egislative assembly buildings are in front of the Galadari. 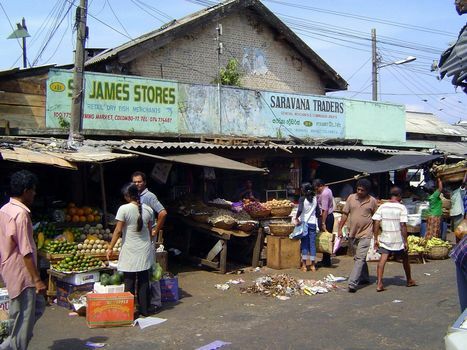 A mile to the south of the last picture: Galle Road is no longer the semi-rural road is was even 50 years ago. It would have become busier in any case, but the security closures in the city's old business center have pushed development in this direction, where there's not a break for ten miles. 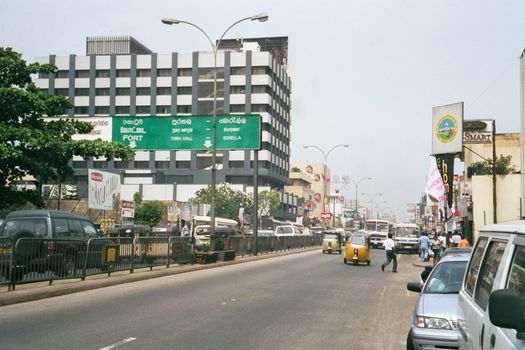 Until very recently there was no expressway bypassing the city, so all traffic moving between Colombo and the south came this way. Not pleasant. 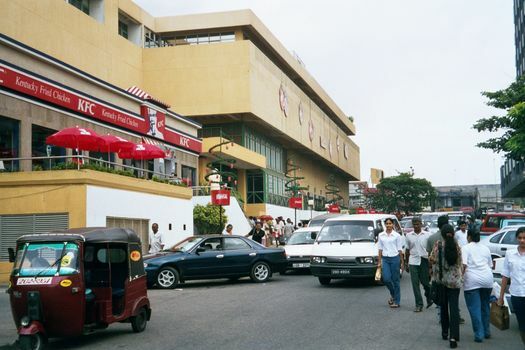 Another view of Galle Road, where McDonald's becomes a refuge for foreigners trying to find a relatively quiet place to sit for a few minutes. High-priced residential highrises are scattered along the road. 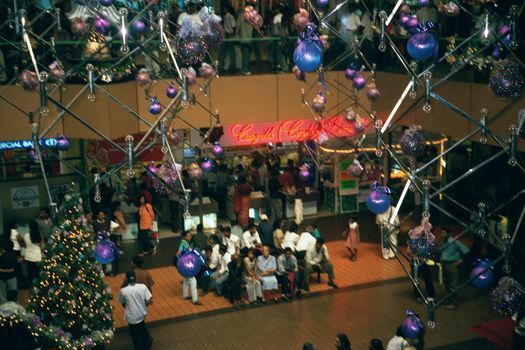 Farther south, the Majestic City mall, Colombo's largest. 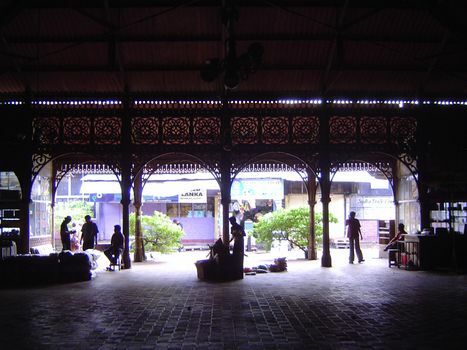 Its interior, showing a Cargill's supermarket. 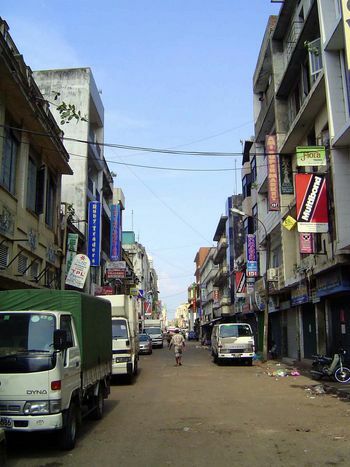 Most of the city's commercial neighborhoods are far less upscale. Here: a main street on Slave Island. 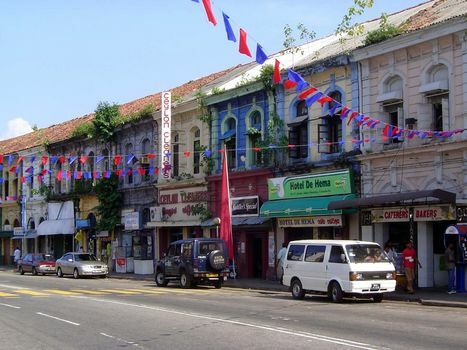 A line of shophouses on that same street. 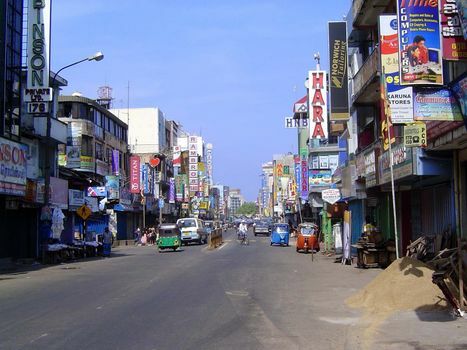 Pettah's Main Street on a nearly deserted Sunday morning. The parallel Prince Street, along which the Dutch Museum stands in stark contrast to its neighbors. 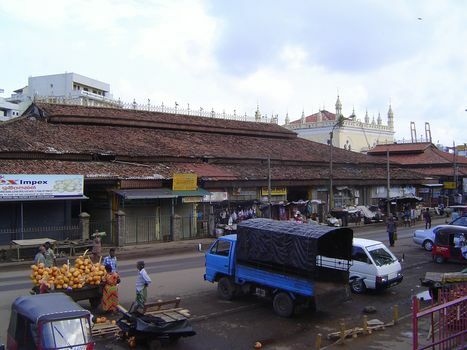 Manning Market, adjoining the Colombo Fort railway station. 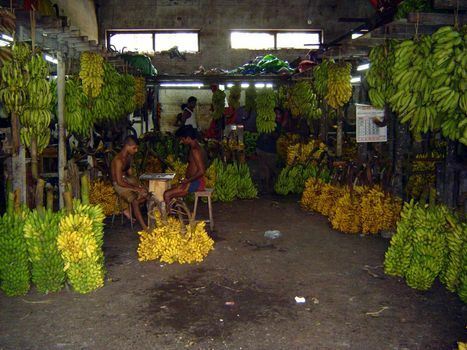 Time out from selling bananas. This is the city's original town hall, built in 1873 and flanked by the iron-shed Edinburgh Market. Both were designed by the same J.G. Smither who did the Colombo Museum and the Grand Oriental Hotel. 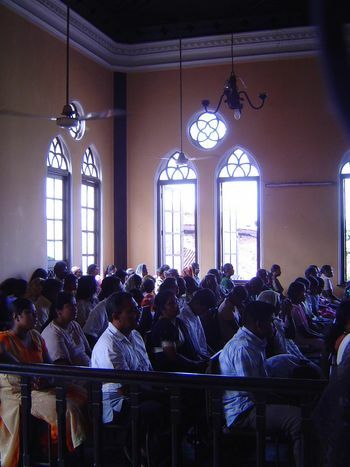 Upstairs in the old town hall: an evangelical Christian service--the pews much more crowded than in the nearby Catholic churches. Quiet on Sunday but a study in ornamental ironwork. Closer view. 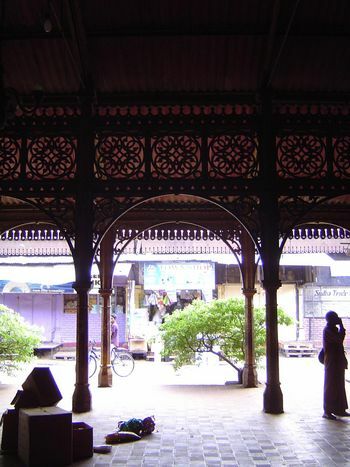 The ironwork was imported from England and merely assembled here. 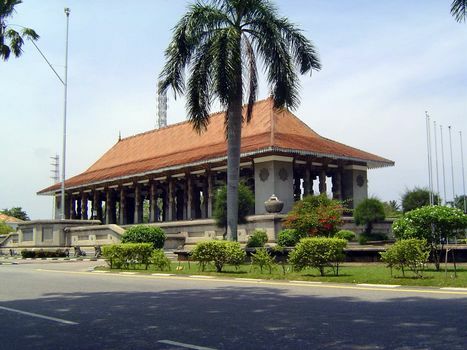 Independence Memorial Hall, a near replica of the old Assembly Hall at Kandy.